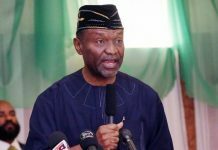 The Central Bank of Nigeria has said its foreign exchange sales to the authorised dealers, including banks and others, amounted to US$1.13 billion in May 2016, representing 2.6 per cent decline compared to the level in April 2016. The apex bank revealed this in its just-released Economic Report for May 2016 obtained by THISDAY. The report also disclosed that, foreign exchange inflows through the CBN, at US$1.51 billion, rose by 31.8 per cent, in contrast to the level in the preceding month, but fell by 13.7 per cent relative to the level at the end of the corresponding period of 2015. 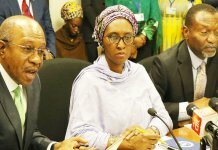 According to the CBN, “The development reflected a 272.8 and 116.0 per cent rise in non-oil inflow relative to the levels in the preceding month and the corresponding period of 2015, respectively. Aggregate outflows through the CBN, at US$1.71 billion, fell by 19.8 and 41.5 per cent, compared with the levels in April 2016 and the corresponding period of 2015, respectively. Similarly, the CBN noted in the latest economic report that aggregate foreign exchange inflow into the economy was US$3.93 billion, in May 2016. This, banking regulatory authority noted, represented 6.2 and 39.0 per cent, decline relative to the levels at the end of the preceding month and the corresponding period of 2015, respectively. “The development relative to the preceding month was driven by the 20.4 per cent decline in inflow through the autonomous sources. 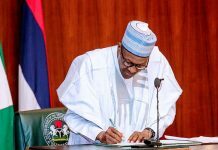 Of the total inflows, receipts through the CBN and autonomous sources accounted for 38.3 and 61.7 per cent, respectively. Non-oil sector inflows, at US$1.06 billion (27.0 per cent of the total), rose by 278.6 per cent above the level in the preceding month. The apex bank, however, pointed that in the review month, the gross external reserves, at US$26.30 billion, declined by 1.1 per cent relative to the preceding month’s level. “Narrow money supply (M1), however, at N9,391.87, grew by 2.8 per cent, relative to the level in the preceding month. The development, relative to the preceding month reflected wholly the increase of 3.9 per cent in demand deposit component. Reserve Money (RM) declined by 1.6 per cent at the end of the review month. Also, the May CBN report showed that banks’ deposit and lending rates generally trended upward during the review month based on available data. “All deposit rates of various maturities rose from a range of 2.53 per cent – 6.83 per cent in the preceding month to 3.53 per cent – 8.01 per cent at the end of the review month. “Consequently, the spread between the weighted average term deposit and maximum lending rates narrowed from 21.69 percentage points to 21.55 percentage points in May 2016. However, the spread between the average savings deposit and average maximum lending rates, widened by 0.05 percentage point to 24.40 percentage points at the end of the review month,” it added.